Just when you thought it couldn't get any better than 'Heatstroke' or 'Slide'! Earlier this year, Scottish EDM legend Calvin Harris promised us that all his new music in 2017 would be amazing - and so far he hasn't disappointed! 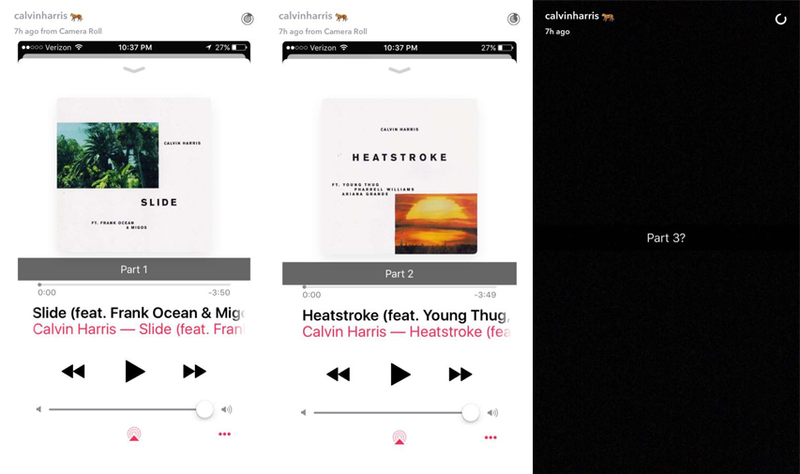 First came 'Slide', with Frank Ocean's silky vocals, then came 'Heatstroke', featuring huge names Pharrell Williams and Ariana Grande... well, it looks like they're actually part of a trilogy! The 'This Is What You Came For' producer took to his Snapchat account earlier in the week to tease a third part to his summer sound. If that wasn't enough, last night we actually got to HEAR a brief snippet of the track - and now we're hyped! Keep it Big Top 40 to be the first to hear Calvin Harris' new music!